Heat the oven to 210°C/190°C fan/gas 6½. Cut each cauliflower into quarters, then put on a large baking tray. Drizzle with 100ml olive oil and dot with 100g butter, then roast for 15-20 minutes until crisp and golden on the outside and tender within. Heat the remaining 100ml oil in a frying pan over a medium heat. Add the breadcrumbs and fry, stirring occasionally, until golden and crisp. Transfer to a bowl and leave to cool. Stir in the chopped parsley and season to taste with salt and pepper. Wipe out the frying pan and melt the remaining 200g butter over a low heat until just starting to brown and smell nutty. Remove from the heat and stir in the chopped capers. 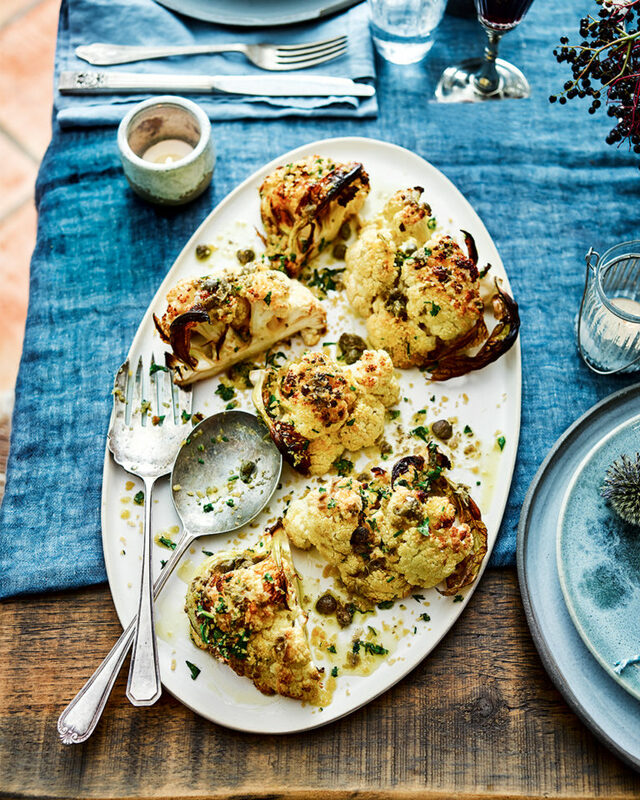 To serve, generously drizzle the cauliflower with the caper butter, then sprinkle over the breadcrumbs. Serve as a side or as a veggie main course with a grain salad.